Includes scooter, remote control, pony figure, and instructions. Remote control requires 2 "AA" batteries (demo batteries included). Vehicle requires 3 "AA" batteries (not included). A pony whoâ€™s on the move needs a way to get around to all her adventures! Thisfancy little scooter is remote-controlled for hours of pony fun. 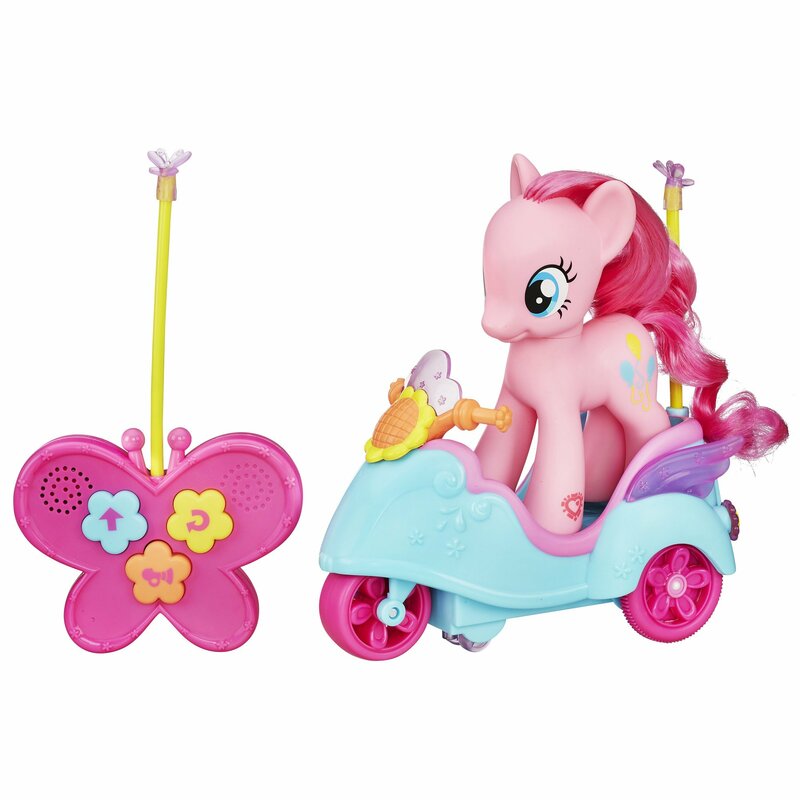 It comes withan adorable Pinkie Pie figure who can ride on the scooter as it zips forward,spins, and zips forward again! When you want to take the pony fun virtual, youcan scan the figureâ€™s Cutie Mark into the My Little Pony FriendshipCelebration app (device not included) and unlock the character in the app! Getscootinâ€™ to one pony adventure after another with the Pinkie Pie RemoteControl Scooter! My Little Pony and all related characters are trademarks ofHasbro.